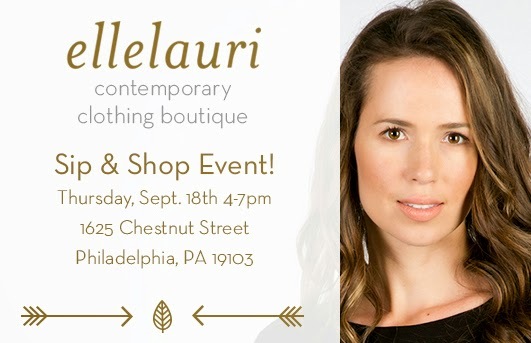 Next week ellelauri is proud to be a part of The Philadelphia Collection on September 17th and 18th. The Philadelphia Collection is a week long celebration of all the fab style that Philly has to offer. ellelauri is participating in two Collection events both at The Shops at Liberty Place, 1625 Chestnut Street, Philadelphia, PA 19103. On September 17th ellelauri will have 10 looks on the runway at Phashion Phest, the Delaware Valley’s premier fashion and beauty event showcasing upscale retailers, salons, accessory boutiques and related businesses hosted at The Shops at Liberty Place after hours starting at 7 PM. This year Phashion Phest celebrates its 21st anniversary. Tickets are $50 per person ($60 at the door) and $25 per student (under 21,proper ID required). 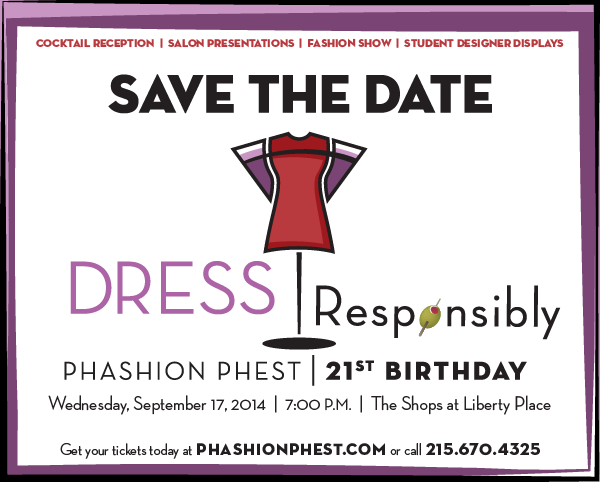 Tickets to the 21st annual Phashion Phest include top-shelf open bar, hors d’oeuvres, fashion show, salon presentations, student designer displays, silent auction and a fabulous gift bag! Get more information and purchase your tickets by going to phashionphest.com or call 215.670.4325! On September 18th ellelauri will host a Cayetano Legacy Collection (CLC) Jewelry Pop Up at our Liberty Place retail boutique from 4-7 PM. ellelauri’s Fall 2014 Collection is arriving daily. The evening will feature a CLC statement jewelry trunk show with raffles, sweet treats & Stoli cocktails. Attendees will also receive styling tips on how to pair CLC jewelry with ellelauri clothing. We are thrilled to again be partnering with our friends at Cayetano Legacy Collection Jewelry for this Sip & Shop Event.